Cordillera - The United States government on Saturday (Oct. 27) has awarded the US Congressional Gold Medal to 29 Filipino veterans for their loyalty, valor and sacrifices in defending the Philippine motherland during the Japanese occupation in the 1940s. Among them was Cato Dampas Pulac from La Trinidad who was the oldest living veteran and served under the 66th Infantry Brigade of the US Armed Forces. At the age of 100, he is among the war survivors who finally go the recognition they deserved. 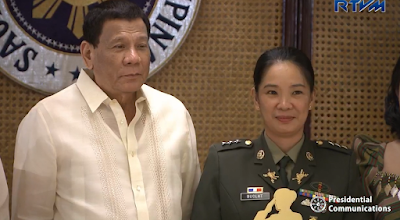 Pulac was a cadet of the Philippine Military Academy (PMA) watched, who had a rank of corporal, along with other veterans mainly from Benguet and Baguio City received the award represented by Ambassador Sung Kim. 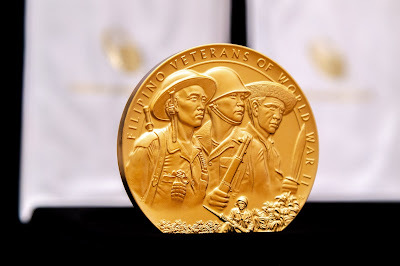 "The congressional gold medal is given to the Filipino war veterans in recognition of their dedicated service, and selfless sacrifice during the war," US Ambassador Kim said during the ceremony at the Philippine Military Academy. "This declaration is awarded to an individual or unit who performed outstanding deed or act of service to the security, prosperity, and national interest of the United States, Kim added. The veterans together with the members of their families represented the second batch of fighters to receive the awards after it was mandated by the law signed by former US President Barack Obama in 2016.